1) Anxiously awaiting Season 4. Love the goodies. 126)	Great prizes good luck everyone! 145) I would be over the moon and in another world if I won this package! Thanks for the chance…. 2) Great prizes! Thanks for the opportunity! 3) What a cool prize. Thank you for the opportunity!! 4) I have been following you on twitter for a while. Thanks for keeping me up to date on Outlander. Love all the Outlander pics and videos that you post. 9) Thank you for the chance at winning the fantastic giveaway. 10) Such a great and generous prize! Love your website! 12) Great contest. I’m excited for season 4!! 13) Would love to win this amazing prize package! Thank you for the opportunity. 14) Thank you for the opportunity on this awesome prize package! Hurry up Season 4. 15) Amazing giveaway! Thank you! 38)	Great prizes! Can’t wait for S4! 41)	Great idea! Thanks! My all time favorite books and series for so many reasons! 42)	Thank you for supporting Outlander and for this lovely giveaway! 43) Amazing Giveaway. All done. Thank you so so much for the chance 😀. 45) Looking forward to season 4! 21) I have found my soul through Outlander and now you’re nourishing my body with this spectacular offer. 22) I’m so excited to be included! Thank you!! 23) I would love to win all these amazing gifts. I am a huge Outlander fan. Thank you for the opportunity to win. 25) The end of Droughtlander is in sight! Love the prizes, and appreciate all your posts. 26) Thank you for the opportunity!! 28) Thank you for the international giveaway! Waiting for season 4!! 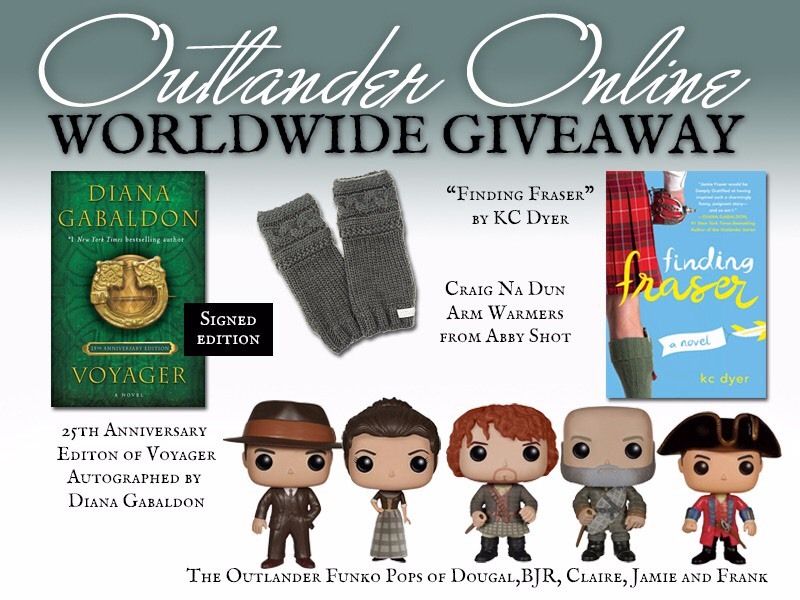 29) Lovely giveaway, I enjoy your Outlander dedicated sites. 30) Love OUTLANDER. Would love to win!!! 33) Awesome giveaway. Thank you! 47)	What an amazing givaway. 50)	Diana is a GENIUS for giving us Outlander ! Thank you! 52)	Yay! I’ve done all the things! (admittedly, they HAD already been done). What an excellent give-a-way! 53)	This would be amazing!! 54)	Wow — fantastic prizes! Thank you! 55)	Oh God help me to win these awesome outlander prizes! 56)	So hopeful to win this amazing prize!! 36) Keeping my fingers crossed!! This is exciting!! 58)	I don’t expect to win but here’s for optimism! 62) Thank you for the opportunity! Fantastic Giveaway! 66)	I absolutely love this series, I have been a huge fan for years! 68)	Excellent giveaway, thank you! 70)	Such a fantastic Prize. 71)	Y’all do so much with your time. I really appreciate everything that you do for the fans. 73)	Love the prize give away. Really looking forward to the start of season 4. Long live The Fraser’s!!!!! 74)	Thanks for the opportunity. 75)	Outlander is the best show EVER! 76)	Thanks for the chance to enter this contest! Great prizes! 77)	Thanks for giving everyone a chance to win. Love Outlander! 79)	Such amazing prizes, would make a great accompaniment to season 4!! Love everything outlander!! 85)	Thanks for the opportunity! And thanks for your work! amazing page!! 88)	Fantastic giveaway! Can’t wait for season 4! 90)	Thank you for the opportunity to win these great prizes! 91)	Sure do love this site, love give aways also…. 92)	Great giveaway! Love Outlander!! 93)	It’s a beautiful giveaway, thank you for that! 94)	One can never have enough Outlander “stuff.” I need all these, particularly the Pops, so I can make MORE scenes for https://www.instagram.com/pop.voyager — right? 96)	Thank you for the giveaways! 97) Fantastic contest! It would be amazing to win all those goodies! Thank you! 99)	Entered!! Would love love love to win! 102)	Generosity will always come back to the giver! Thank you for the opportunity! 103)	Been following you on Twitter for a while. Following you on Facebook now. This is a fantastic giveaway. Thank you. 104)	This is awesome! Thank you for making this fun!! 105)	Looking forward to Season 4, my favorite book of the series. 106)	I love all things Outlander! I canna wait for Season 4! Thank you for being my go-to source of Outlander info! 107)	Can’t wait for season 4, been rereading the books while we wait! 109)	Awesome giveaway! I am obsessed with Outlander! 110)	This is so great! I have all,of my books on a Book. Is would be great to have signed copy of Voyager! 111)	What a fantastic giveaway prize. Good luck everyone. Can’t wait for Season 4 to begin next wk. 6 days to go for NZ. 114)	Love Outlander…..can’t wait for new season. Not long till season 4. 116)	Seriously need those Funko Pops (If anyone has some that they wanna sell… message me!). I really hope this is a worldwide giveway. ❤ Good lucky all! 119)	This is awesome, I NEED this! 122)	Thank you for the chance! 125)	Following on Twitter and Facebook. Just love Outlander!!! 128)	Thanks for organizing fun games for us! Good luck everyone! 130)	What great prizes! I’m in! 133)	Thank you so much for making it worldwide! I love Outlander! 135)	What a wonderful giveaway! Love this!!! 137)	I went to “like” on every platform and discovered I already had done that at one point..I knew I had good taste😉. I would love to win this giveaway. 139)	What a great giveaway – thanks! 141)	Love the contest. Great prizes. 142)	OH WOW!! Thanks for making it International – Down Under is SORELY missing out on OL Merch! 143)	Great giveaway!! Outlander fun!!! Good luck everyone!! 144) Love the site. Love the contest. Good luck to all!!!! 147)	An awesome contest! Good luck everyone! 150)	Thanks for the opportunity! 151)	Sure hope I win!! 152)	The prize of the outlander pop dolls! 155)	Thank you for the opportunity to win great prizes. 157)	Season 4 is almost here. So excited. All the goodies are awesome. 159)	Wow! Awesome giveaway! Happy season 4, everyone! 160)	What a great prize pack! Would love to win this! 161)	Thankyou for this opportunity to win such a fabulous prize! 162)	Would be delighted to win this great prize. 163)	My birthday is on the 20th – this would be a great present!! 164)	Thanks for the contest! AWESOME prize!!! Good luck everyone! 165)	What an amazing giveaway! Thank you for putting this together. Slàinte! 166)	Thanks for the amazing giveaway !!!!! 167)	I’m recovering from shoulder surgery & can’t drive or do anything atm. Winning this incredible prize would lift my spirits. Aussie lass who is smitten with Outlander. Thank you for a world wide prize opportunity. 171) I’m anxious to see the fourth season. I wish I could play the draw, it would be a good birthday gift. Good luck! 172)	What a wonderful prize. 173) A great way to celebrate the show coming back! 174)	This would be amazing to win. 182)	Very cool idea for a giveaway. One for me please! 🙂 and good luck to everyone! 183)	thanks for the great giveaway- such cool prices. Hope to win- fingers crossed!! 188)	As Aussie fans we often miss out on so much. I really appreciate the fact that you have made this a world wide competition. Good luck to everyone. 189)	Great contest! Thanks for the opportunity!!! 194)	What amazing giveaway!!! Thank you so much!!! 197)	This is an incredible contest and would be a wonderful Christmas gift for any Outlander fan. The generosity of fans and groups is so fantastic. 199)	Fantastic contest! Would love to win as we don’t see many Outlander souvenirs in Australia. 200)	Great idea this giveaway!!! 201)	Fabulous giveaway. Great page. Thanks! 202)	Thank you for this International contest!! Al last!!! So excited about it and about Outlander season 4!!! Looking forward to both!! Argentina is so far away. 206)	Great worldwide giveaway! 🤞🏻 Good luck everybody!! 208)	Sure hope I win! 209)	What an awesome giveaway! Thank you for the opportunity! 210)	Wow, great prizes! Thanks for the chance to win. 211)	All done and more x Great that the giveaway is world wide. Fingers crossed. 212)	Oh WOW!!! Thanks for the chance to win!!! 213)	Thank you for having such a remarkable giveaway! Thank you to the contributers!! Congrats to the eventually winner – though I hope it’s me!! 214)	Wow! Thanks for a chance at winning! Terrific prizes! 216)	Wow. Look at all the goodies. Okay did all the liking and retweeting… was already following you on Twitter. YAY! 219)	This a awesome! Thank you very much! 220)	What a fabulous gift for a fan! 221)	Thanks for the chance to win this amazing giveaway. Good luck to all. 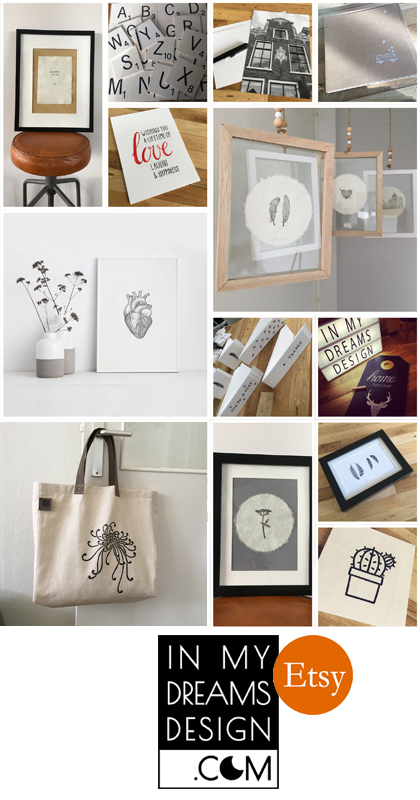 222)	Fantastic collection to win ! Thanks for the chance!😀 I retweeted, ‘liked’ on FB and I already follow you on tw! 223)	What a package of Outlander stuff to really get into Season 4! Done and thank you! 224)	Always appreciate everything you do for this site! 226)	Thanks for this opportunity….nice gifts! 230)	Outlander is special, their is nothing like it! 231)	What a wonderful contest! I hope I managed to complete the entry correctly. 232)	A wonderful contest for all of us – devoted fans of Outlander! I wish everyone good luck! 239)	What a great giveaway!! Can’t wait for Outlander to start again. 242)	Awesome competition and one of the few us Aussies can enter. Fingers crossed. 243)	This giveaway is awesome! Thank you so much! 244)	This is an awesome giveaway! The winner is going to be one very happy lad or lassie!!! 245)	This is an awesome giveaway! Any lad or lassie would be very happy to win!! 246)	Awesome giveaway, I won’t win but thank you anyway! 249)	Love this so much & love got guys for doing it. 252)	What a gift! Is hope allowed in France too?! 255)	Thank you for the giveaway! 256)	Thank you for a fabulous give away! 260)	Love everything Outlander! Thank you for the chance to win this awesome giveaway! 265)	A book series I’ve shared with my daughter, her fiancé, my hubs, my DIL, and friends. It’s about love, honor, and cherish. It’s about honoring your spouse above all others. And it’s about the eternal bond you have with your one true love, and getting through whatever’s happening in life around you. Wherever or whenever you are. 266)	What a great contest! 268)	Here’s a quick thank you for all the hard work you all put in to keep the fandom informed. I can’t imagine how much time it takes, but I truly appreciate you all! -1)	thank you so much!! 269)	Fun giveaway – thanks!!! 273)	Great prizes! I would love to win! 275)	Fantastic opportunity, thank you very much! 276)	Thank you for doing this!! 278) The premiere was amazing and I can’t wait to win this pops and the other gifts!!! 284)	That’s quite a collection! Keeping my fingers crossed. 285) I do hope I win! 286)	So excited….Love Outlander!!! Thanks. 287)	Such incredible prizes! Thank you for the chance. Fingers crossed!!! 289)	Good luck everybody! Love Outlander! 291)	Thanks for the opportunity to enter! Wishing all good luck. What a wonderful opportunity! thank you for doing this. Good Luck to all, but I hope I win LOL!